Do you or a loved one suffer from painful varicose veins? People tend to get varicose veins due to being overweight, by not getting enough exercise or as a natural aspect of being pregnant. Regardless of the cause of your varicose veins, the painful symptoms you’re likely experiencing are reason enough to seek treatment immediately. You can treat symptoms of varicose veins at home by wearing knee-high socks, which may be sufficient for mild cases. For more painful cases, compression socks are necessary. They tend to be tightest at the toe end and become a bit looser further up the leg. Wearing compression stockings will reduce swelling and pain as they improve your blood circulation. 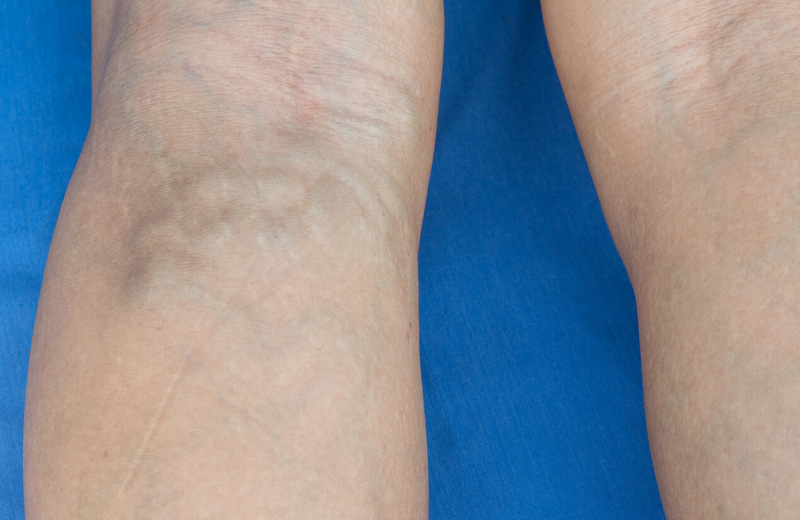 Varicose veins can be caused by obesity and a sedentary lifestyle. Obesity and poor physical conditioning is a natural consequence of spending hours each day sitting in an office, sitting during the commute to and from work and then sitting down all evening watching TV. Start by paying closer attention to your diet, perhaps with help from a nutritionist or other weight loss counseling professional. You can also work toward a more healthy weight by exercising on a regular basis. Start by walking, such as using half of your lunch break to move at a quick pace. To motivate you to reach daily goals, consider wearing a pedometer to track how many steps you take, aiming for 5 or more miles each day. When exercise and compression socks prove insufficient for reducing pain and discomfort, patients have the option to come in for varicose vein removal. This procedure works by the doctor can tying off the varicose veins (a process called ligation) or removing the veins by stripping them to bring you pain relief. Laser therapy is another option that your doctor may recommend. Our professionals have performed vein removal procedures on many patients over the years and we are happy to explain the process to you further. You don’t need to suffer from painful varicose vein removal since there are several ways to find relief. For more information about a surgical approach to varicose veins pain relief or to set an appointment for a consultation, please connect with the team at Metropolitan Vein and Aesthetic Center at 914-295-2202 today.